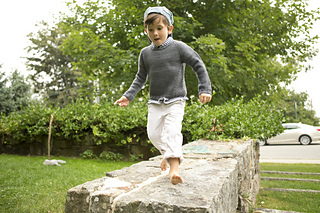 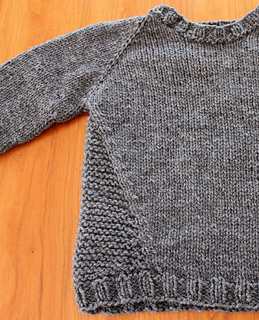 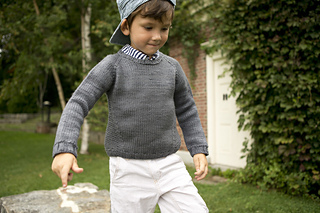 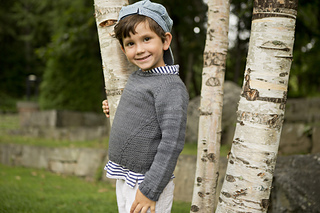 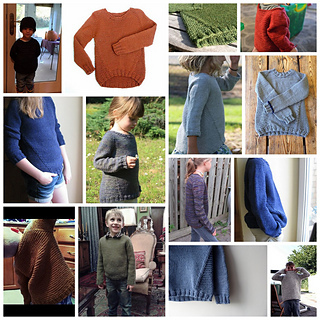 finished chest: 24 (26, 27, 29, 30, 32)"
This sweater is sure to keep your little sailor warm! 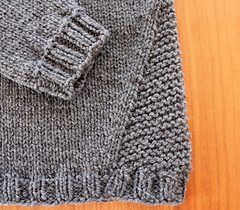 Garter stitch side detail and a garter stitch back give it a new twist on an old classic. 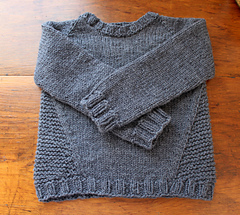 US size 8 and 9 (5 and 5.5 mm) 24” circular needles and set of 5 double-pointed needles, or size needed to obtain gauge.